PEVA insulation. Main compartment with velcro flap closure. Clear ID window on back. Web carry handle. 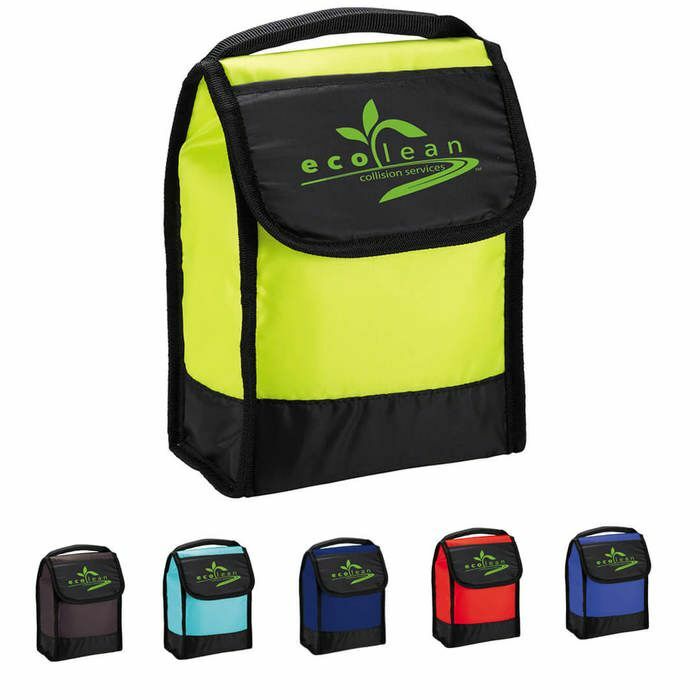 Lunch bag folds down for easy storage; when folded measures 5"H x 7"W.